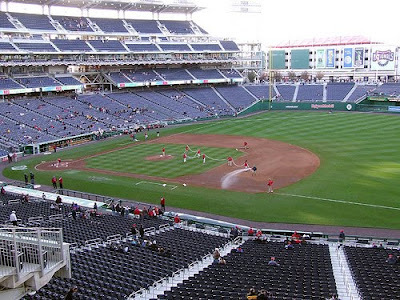 The Empty Stadium: The Most Watched Nationals Game Ever? 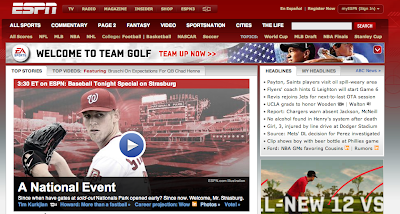 ESPN started its Stephen Strasburg coverage this morning and will begin pre-game coverage of the pitching sensation's (and top pick in the 2009 draft) MLB debut at 3.30pm this afternoon on a special edition of Baseball Tonight. Local cable network MASN will also deliver additional pre-game coverage with a special one hour edition of Nats Xtra. That show begins at 6pm. 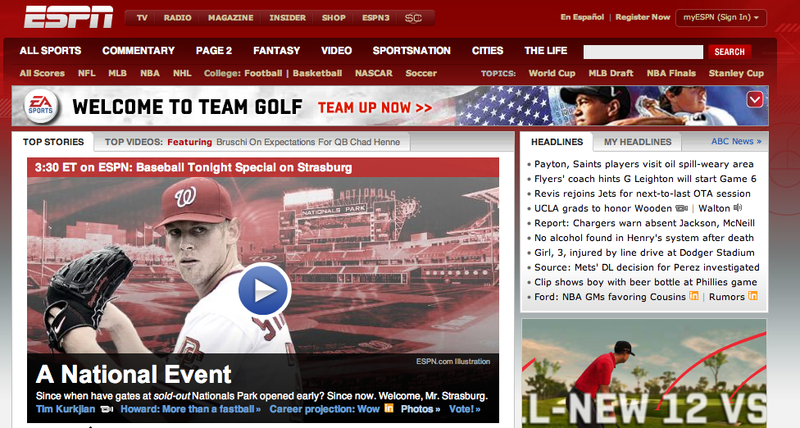 Considering that Nationals Park sold out within two hours of the team announcement of Strasburg's first MLB start and that over 200 media credentials have been passed out (three times more than normal), it is safe to say that tonight's game against the Pittsburgh Pirates is - by far - the biggest game ever in Washington Nationals history. Tonight's game will be just the second sellout for the Nationals this season - a fact made more special because weeknight games are usually tough draws for any MLB home game. Currently the Nationals are 24th (out of 30 teams) in the league in home game attendance. Nationals Park will, undoubtedly, not look like this tonight. The only other game to sellout at Nationals Park this year? Opening day, when current U.S. president Barack Obama threw out the first pitch.